iOption has gone bankrupt. Employees have been reporting massive firings, but there has not been much talk coming from official spokesmen in the area. 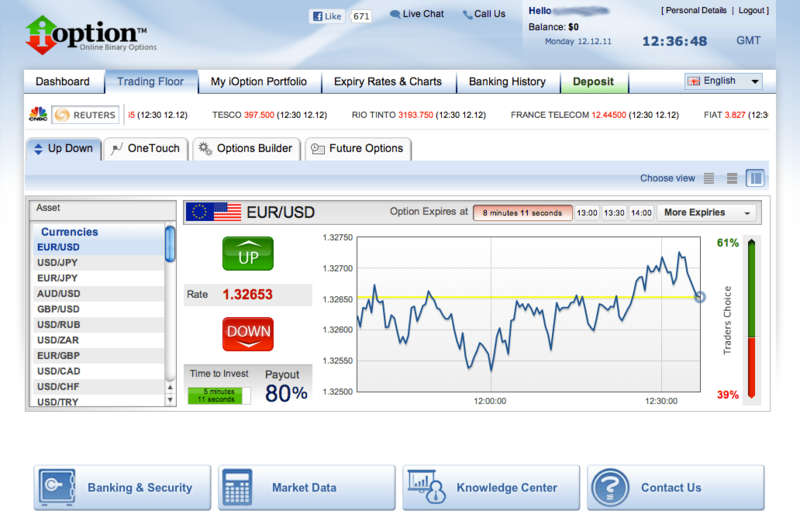 The news were also confirmed by well-established sources within the binary options industry. The news has taken by surprise traders and binary option analysts, which had a favorable perspective regarding iOption operations. iOption has been reviewed several times, this is because the agency was one of the first brokers to offer binary options for traders to buy or sell. iOption closing its doors meant for market analysts and financial advisers to revise their policies and trading strategies to avoid investing in a broker that might declare bankruptcy at some point. It is hard to think any evident reasons for a large-name broker to fall in this manner. The first thing that analyst discovered was that for about a month ago, iOption clients were not able to place any sort of trades within the platform. It turns out that in order to comply with new EU regulations, iOption asked its trading platform provider, SpotOption to create some changes to its platform so that will satisfy regulatory requirements. Apparently, the necessary software updates took too long, which caused many problems for existing and new customers. It is a fundamental principle that businesses should never close their doors to clients which are willing to spend money on the company. In short, the service break which took place for over a month meant the beginning of a constant loss of income for iOption. Second rule every marketer must know is that it must be able to allow a high level of liquidity. Unfortunately for iOption, Netpay and Liberty Reserve, they are all facing bankruptcy. These e-wallet companies are holding thousands of dollars of capital in the accounts iOption had in its platform. And if that was not enough to iOption, several sources have stated that several financial partners of iOption are starting to get upset about the situation of their relation. The newest partner, who has invested six figures in the company, has said that after signing the contract that they have realized the company was not giving off the right impression and that they were presented with false information about the situation of the company. As a result, it was decided to freeze their investments and to prevent the company from using this money. The only alternative left for iOption to manage was to sell their goods. The broker has started negotiations with Bbinary regarding a possible purchase, but it is a cloudy scenario for iOption because of previous commitments from Bbinary in the US. No other binary options broker has had real interest in taking over this catastrophic broker. It is clear that the demise of Liberty Reserve affected iOption more than it could be handled, in addition to every new problem which drove the company into the decision to close its doors, this can happen in any type business, however this in no way justifies the lack of communication with its customers and lack of payment to its affiliates. It is a fact that iOption will not return in the near future.